As the weather cools and the nights draw in, you can’t help but look forward to Christmas – a beacon of festivity in the winter months. 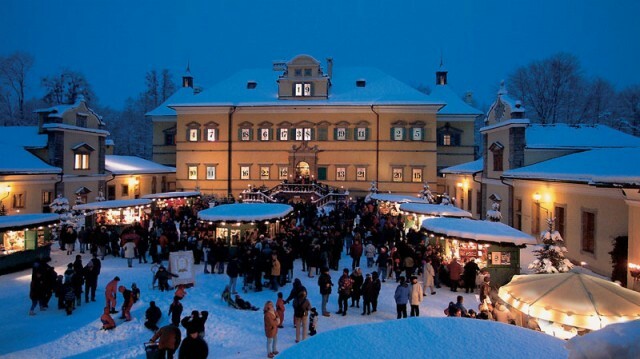 A short break away to the Christmas markets in Austria or Germany is guaranteed to bring out the child in you. Trees twinkle and the scent of gingerbread and Glühwein laces the air, as you wander the charming stalls – the magical atmosphere is impossible to resist. Let us tempt you with a guide to just some of our favourite Christmas markets. The Viennese Christmas markets can trace their history back to the 13th century, when the city was granted permission to hold a December Market. At first it was a simple affair selling food and provisions, but over time special pastries, biscuits and gifts began to appear. Today Vienna is home to 20 official Christmas markets – but the city has not forgotten its heritage, with hundreds of independent sellers still offering high-quality crafts, foods and gifts from sweet little wooden stalls. 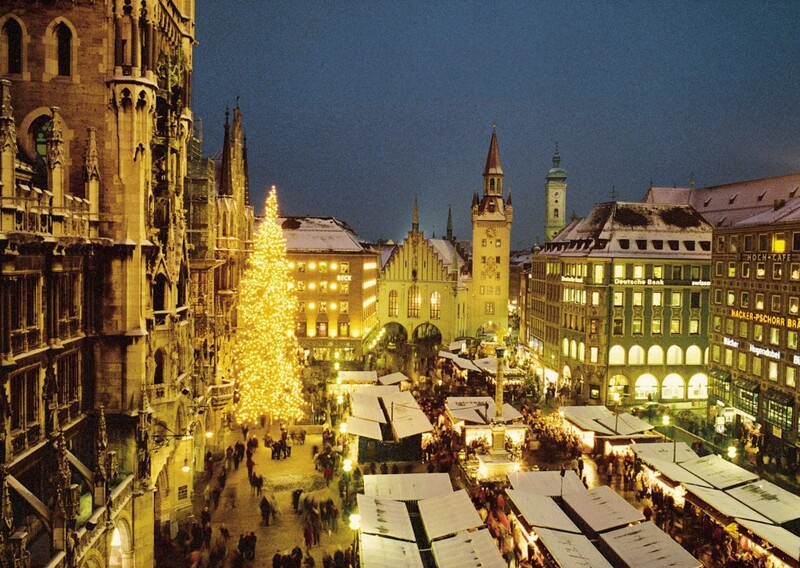 This is the largest Christmas market in Vienna, and it sits in front of the city’s impressive neo-Gothic Rathaus. There are about 145 stalls, selling everything from roasted chestnuts, to toys and leather goods – the perfect gift just has to be here! This market is also great for children. Each year the Rathauspark is transformed into a winter wonderland, with beautiful lights and displays. If you’re lucky you might meet the Christkind, who delivers all the Austrian children’s presents on Christmas Eve. Inside the Rathaus there is also a children’s workshop, where the little ones can make gifts for the family using traditional craft methods. If the bustling crowds of the Rathausplaz aren’t for you, then head down to the Freyung for a more peaceful experience. This pretty area is circled by Vienna’s palaces, and has been home to a Christmas market since 1772. The market is small but utterly charming, with 50 stalls selling traditional, lovingly-crafted goods. Look out for the farm shop with its wonderful cheese and meat – the fresh, tangy Bergkäse cheese is a favourite with the locals. The chocolate-box city of Salzburg is the perfect place for a Christmas break – when the snow gleams beneath the fairy lights and carols fill the squares, it’s a magical place to be. Indeed, Salzburg loves the festive season so much that you can buy decorations all year round in the spectacular Christmas Store on Goldgasse. But watch out for the Krampus! Traditionally this impish spirit accompanied St Nicholas at Christmastime to punish naughty children – but today whole hosts of Krampusses caper in the streets on Krampuslauf parades, teasing market visitors with their gruesome masks and birch switches. Salzburg’s biggest Christmas market has been around for over 400 years, and is dramatically located at the foot of the Hohensaltzburg fortress. In its 95 stalls you’ll find all kinds of gifts and treats, from porcelain dolls to traditional wreathes and the city’s famous Mozartkugeln sweets. The Christkindlmarkt also hosts some lovely events, including guided tours, carols played by traditional Turmbläsen wind bands, and choir performances. At 5.30 every Saturday you can also meet the Christkinder and her angels. For the best food, head over to the Mirabellplaz market. Here you can enjoy warm pretzels, homemade liqueurs, baked apples and more against the stunning backdrop of Mirabell Palace and gardens, where scenes from The Sound of Music were filmed. Over in Germany, the Munich markets are similarly steeped in history. Festive Nicholaus Markts have been held in the city since the 14th century, gradually evolving into the iconic celebrations we know today. You’ll find all kinds of treasures here including beautiful glass baubles, handmade candles, and traditional toys. If you fancy a snack you can enjoy delicately spiced Lebkuchen biscuits and Glühwein, or take a break with a hearty Bratwurst washed down with a rich, dark Christmas beer. Boasting about 160 different traders, the Marienplatz market is one of the largest in Europe. The stalls offer all kinds of Christmas delights, whilst inside the fairytale-like Rathaus children can join in the fun dressing up, baking and trying craft activities. 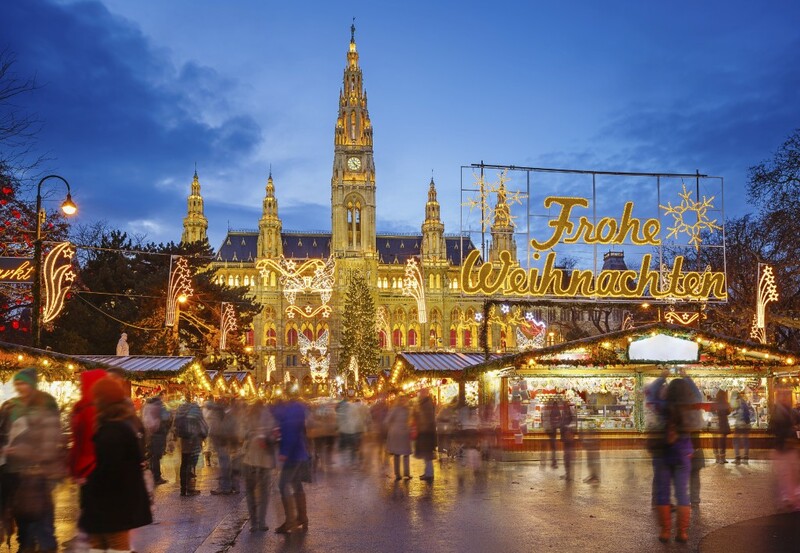 At 5.30 each night shoppers are serenaded from the Rathaus balcony – you can hear anything from carol singers to a children’s choir or Bavarian brass band! Follow the shooting star signs from Marienplatz and you’ll find the Kripperlmarkt, dedicated to the German tradition of the Christmas crib. The first recorded crib in Munich was at the St Michael church in 1597, and the Kripperlmarkt has been providing families with festive centrepieces since the 18th century. The variety of figures and styles is astonishing – from traditional Bavarian carvings to colourful models for children, and miniature alpine designs. Admire the handiwork on display, or gather pieces for your own family crib. If you fancy something a little different, travel back in time with the Mediaeval Market. Here the mediaeval heritage of the Nicholaus Markts is celebrated, with costumed stall holders selling handcrafted wares. You’ll find jewellery and leather goods, but also more eccentric items such as armour, drinking horns and ceramic musical instruments. There’s also a varied programme of entertainment too, featuring musicians, jesters and falconers. Make this Christmas one to remember with a Headwater holiday to the European Christmas Markets. You’ll find unique gifts, indulge in some local delicacies, and enjoy traditional performances. Our packages make it extra special with treats such as special dinners, classical concerts and local tourist cards.